At 94, my grandmother is still mobile, with a sharp memory, and very conversational. However, she has also acquired cataracts that dimmed her sight and slowed down her movements. My Grandma also moves slowly now and needs someone to hold her when she walks up and down the stairs. That’s where my Aunt comes in. She makes life more convenient, manageable, and comfortable for her aging mom. What she’s doing for my Grandma is caregiving, and what a beautiful picture of caregiving has she painted! Caregiving is nothing without compassion. I have seen my Aunt continue to talk lovingly to my Grandma, asking her whether she’s hungry yet, and preparing healthy meals for her. She also chooses beautiful clothes for Grandma so they can go to church together. She knows that my Grandma can never pay her back, but my Aunt does all these things not because of monetary value but because of the love she’s now returning to her own mother. However, my Aunt also needs other people to help her, especially when they need to travel around. Sometimes, my Grandma needs to be lifted in order to get into the vehicle. My Aunt can’t carry her. So, she requests for extra hands for that. I learned that when you care for someone, it’s alright to get help. I have read my Aunt’s posts on her social media accounts on how she’s very thankful that my Grandma likes the way she combs her hair, or selects her clothes, or brings her to the doctor. My Aunt testifies that the simple realization of having served her mom is already rewarding enough as a daughter. Indeed, caregiving does make a positive difference not only to those who receive it, but also to those who give it. We hope you have been inspired by this true story. 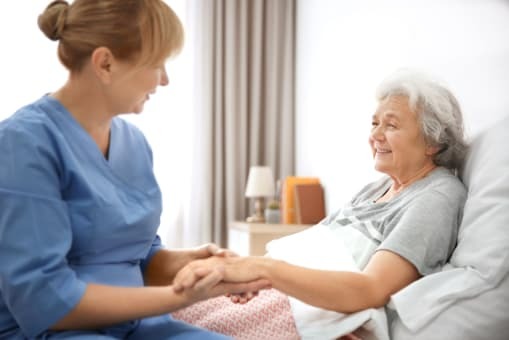 As a leading provider of Home Health Care in Vancouver, BC, we always recognize that family caregivers can give a different level of care and attention to their homebound loved ones. This same element of quality life is enjoyed by seniors when they have compassionate assistants at home. At Peachtacular Home Health Care, we also extend high-quality Home Care Services in Vancouver which your aging loved one deserves. We cheer on every family caregiver who manages their time and strength to care for their loved ones. Know that we’re just here to support and back you up, especially when you need our assistance. Don’t hesitate to contact us when you or your loved ones need assistance from providers of Senior Home Care in Vancouver. Share this post if you’ve also been inspired! This entry was posted in Caregiving Lessons and tagged Caregivers Support, Home Care, Senior Care. Bookmark the permalink.